Following the resignation of Sally Hunt, a vacancy has arisen in the position of general secretary of the University and College Union. The position of general secretary is a full-time, salaried position as the union's chief executive. The term of office is for five years from the date on which the successful candidate is available to take up the office. Nominations were supported by the signatures of at least 50 members. 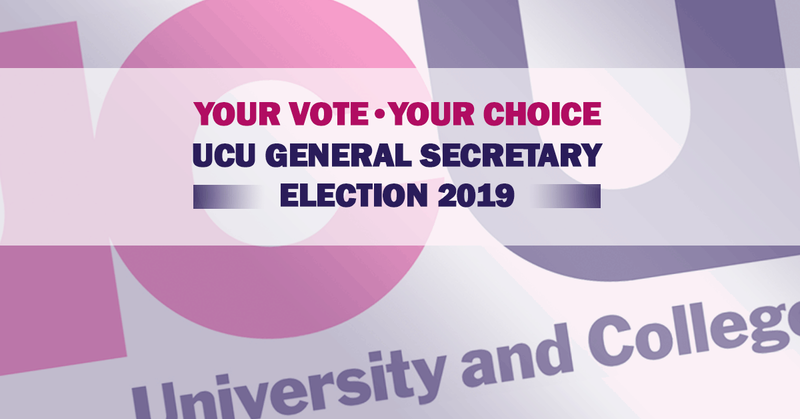 The ballot to elect a candidate to the position of UCU General Secretary will open on Monday 29 April and close at noon on Thursday 23 May 2019. The election guidance notes can be found below.